Free-to-play games catch a lot of grief, because a good portion of them use predatory monetization schemes to siphon money out of their players. This aspect of the games is especially prominent on mobile devices. But, for all the criticism one could leverage against free-to-play games, it is hard to deny the positive influence they’ve had on the industry. In fact, some of the biggest games today can likely trace their lineage back to free-to-play games. And, at any given time over the last decade, it was easy to point to a free-to-play game that was extremely prevalent in the industry. Take, for example, Overwatch. This game is a class based shooter where players are tasked with escorting a payload to the other team’s base. The teams take turns, either defending or attacking the oppositions base and, depending on which objective you are currently tasked with, strategies can change on the fly. Valve’s title, Team Fortress 2, which went free-to-play on Steam, was incredibly similar to Overwatch. There was a mode in which players took turns escorting a payload. There were asymmetric maps. And classes? You better believe it. 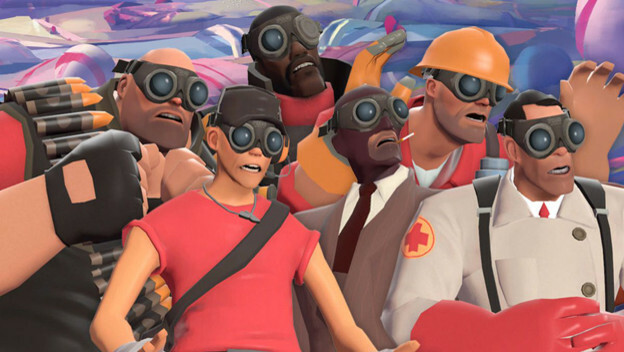 In Team Fortress 2, players often had to change classes midgame to adapt to different situations. The games both feature similar classes, too. Junkrat is basically the demoman. Widowmaker is basically the sniper. Tracer is basically the scout. You get the point. Overwatch is far from the only example. League of Legends is a multiplayer online battle arena inspired by the Warcraft III mod, Defense of the Ancients. The game takes the RTS genre and changes it so players are only in charge of a single character. For a long while, League of Legends was one of the most popular competitive games to play, although the community had grown quite toxic. But, because of its popularity and competitive nature, League of Legends was prominently featured in eSports tournaments. Eventually, games like Smite, Battleborn, and Infinite Crisis cashed in on the MOBA craze. Valve even developed DOTA II which, really, is just the genre coming full circle. And Overwatch developer, Blizzard, created Heroes of the Storm which is very, very similar to League of Legends except that it features characters from Blizzard’s library of games. The influence of free-to-play games extends far beyond just what they inspire. Because of the free cost of entry, players are more willing to gamble on trying out a game. It also makes it easier for a game’s community to recruit new players. As a result, these games stay relatively active and grow rapidly if they are any good. And, with the steady stream of players, developers are given unique opportunities. A good portion of these games are online and it isn’t rare that games like League of Legends or Epic’s title, Fortnite, try out new game modes temporarily to gauge the interest of players. Basically, developers are afforded chances to experiment, testing out their ideas on their player base. 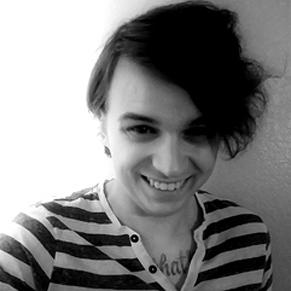 These playlists are generally pretty cheap to produce, too. But, most importantly, gamers get a chance to try out something new that they maybe never realized they’d enjoy. These playlists can inform the industry of what the market desires. Currently, Fortnite is hosting an Infinity War-themed event in which players compete to locate and acquire the Infinity Gauntlet. 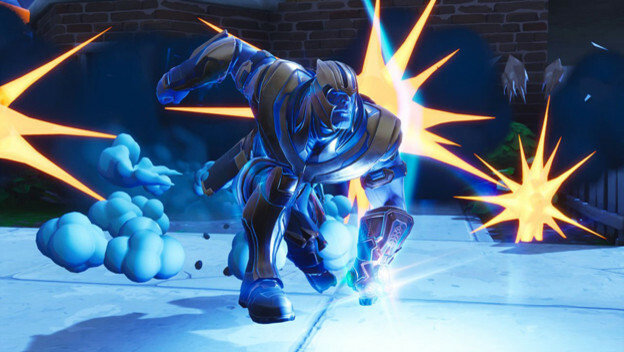 Once they do, they transform into Thanos who is far, far more powerful than any given player because he has more health, more shields, regenerative properties, an a unique move set. The mode is already very popular and represents a major departure from traditional Fortnite. The changes are chaotic and players are learning how to manage the threat of Thanos while also navigating the unforgiving territory of a battle royale game where everyone is a threat. Players are also hoping that the mode continues long into the future as opposed to being temporary. It is not unreasonable to think that the mode could inspire other developers in regards to their design philosophy. Fortnite is also responsible for a major surge in awareness of the battle royale genre. Call of Duty is expected to capitalize on the genre’s newfound popularity and I would wager anything that the genre is going to gain momentum over the next few years. So, don’t hate on free-to-play. Even if you aren’t a fan of certain titles and their particularities, you can potentially benefit from what the industry learns from the players. And, beyond that, experimentation is always good; it’s how we discover new things.